The latest Bella Hadid naked dress may just be the most glamorous yet. Bella Hadid just took the "naked dress" trend to a whole new level at Cannes. But one attendee may have just nailed the perfect balance between the two. Just when you thought model Bella Hadid, serial barely-there dresser, had done it all with the naked dress, she takes it to the next level – but not as you’d expect. Yep, the 20 year old has managed to make the style, dare I say it, glamorous? Embellished with crystals, the draped dress is ethereal, effortless and striking. It&apos;s unlike anything we&apos;ve seen on the red carpet before. As its shock factor has subsided, the naked dress seems to have taken a different - and more welcome - route. 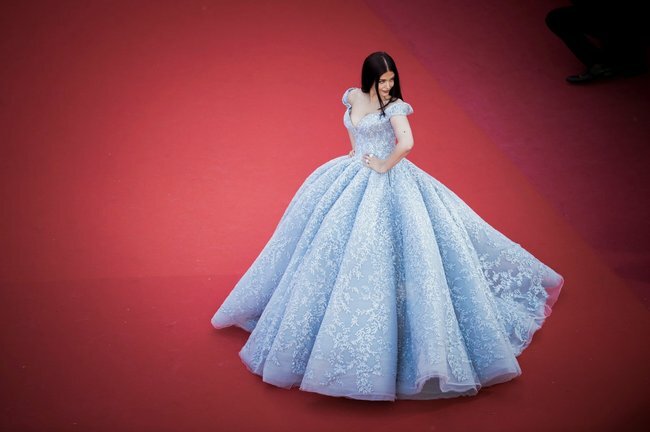 Elsewhere, the Cannes Film Festival red carpet continues to be the gift that keeps on giving. Nicole Kidman is delivering killer outfit after outfit, as did attendees at the amfAR gala raising funds for AIDs research. All we have to say is keep it coming.